GET UP, STAND UP: "I have to make sure the messages in the music are potent." Like most cerebral musicians and singer-songwriters, Protoje believes wholly in expanding his intellect by devouring literature that speak to the journey he's on, as well as his outlook on life. "I look at it like, as a musician, it’s my job to take what I read as my inspiration and then find my way to give that information to the people," says the recording artist in a recent interview with MTV Iggy. He cites the likes of Walter Rodney, CLR James, Marcus Garvey, and Haile Selassie among his major influences. "Because I know that in this day and age, not a lot of people are reading books. They’d rather get their messages from music, so I have to make sure that the messages in the music are as potent as they are in the books." Proving that he can be quite opinionated, too, the reggae star also shared his thoughts on Snoop Lion's polarizing reggae debut, Reincarnated. "It doesn't really sound like a reggae record to me," he admits. "But I believe an artist is free to do whatever he wants to do in whatever music he feels like doing." 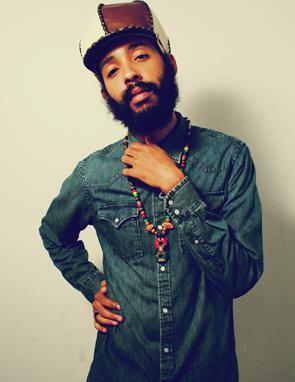 Known for delivering hard-hitting lyrics and subtly revolutionary messages steeped in richly melodic reggae grooves (on albums The Seven Year Itch and The Eight Year Affair), Protoje argues that foreign artists who want to help expand the genre of reggae should seek out indigenous reggae artists and producers, preferably from the genre's birthplace. "Work with some local talent to give a better feel because there are so many talented reggae producers in Jamaica. I don’t know if they weren’t approached," he remarks. "I can’t say what happened, but if foreign artists really want to help spread an authentic reggae sound then they have to work with authentic musicians and producers. I think that would have a very big impact on spreading the reggae sound to the world." To read the complete interview, visit MTVIggy.